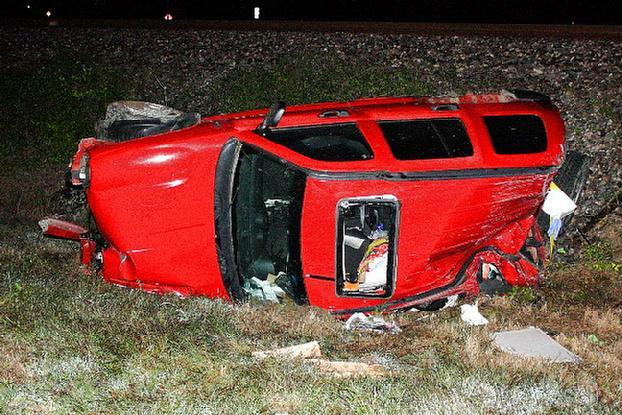 Sherry Cox's vehicle came to rest near railroad tracks. 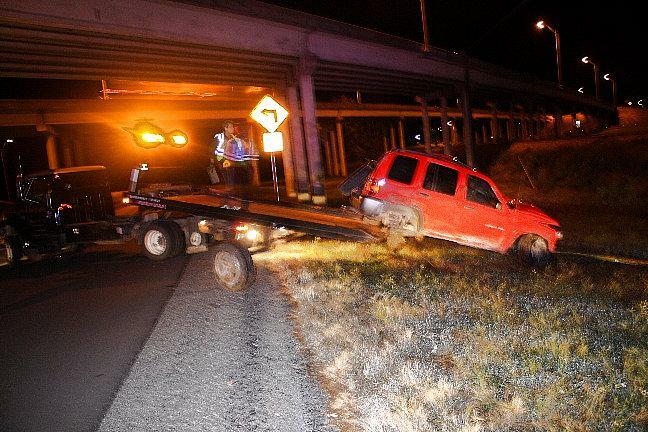 Vehicle Rolls in the Middle of the Night, LIVINGSTON, October 23, 2009 - Shortly before 3 am on October 23, 2009, a red 2003 Jeep Liberty driven by Sherry Cox, 43, of Livingston, was entering the curve that goes under the 59 overpass on the north end of Business 59. 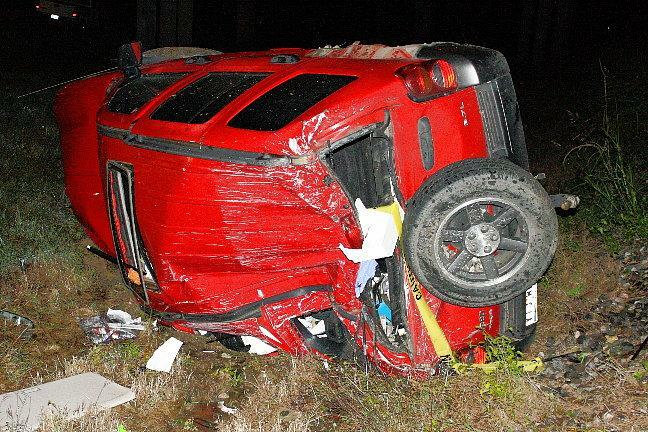 Cox failed to negotiate the curve properly and her vehicle left the road to the right and rolled. The Jeep came to rest on its side facing south. Livingston Police Officer Jason Thomas was dispatched to the scene along with Officer Ashley Brame, Sergeant Scott Paske, and Deputies Jamie Buie and Vance Berry. Fortunately, Cox was not injured. Traffic was not blocked during investigation and cleanup. 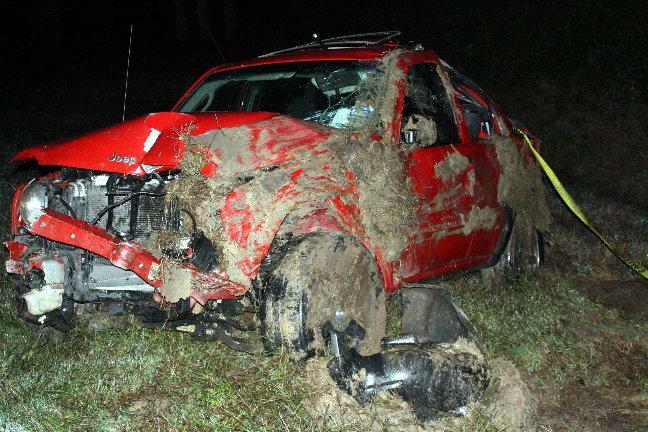 A rollback wrecker from Fawbush Towing recovered Cox's vehicle and it will be stored at Fawbush Body Shop in Livingston. Cox did have insurance. No citations were issued. The scene was cleared by 3:45. A special thank you to JT822.